A super-current runs from the Arctic past South America to the Indian Ocean. This is major factor influencing our climate, controlling everything from currents to the weather. The great ocean conveyor is a vast global current that controls the world's climate. The great ocean conveyor is not driven by winds or tides, and it travels deep along the ocean bed. It takes about 1000 years for the great ocean conveyor to complete its global cycle. 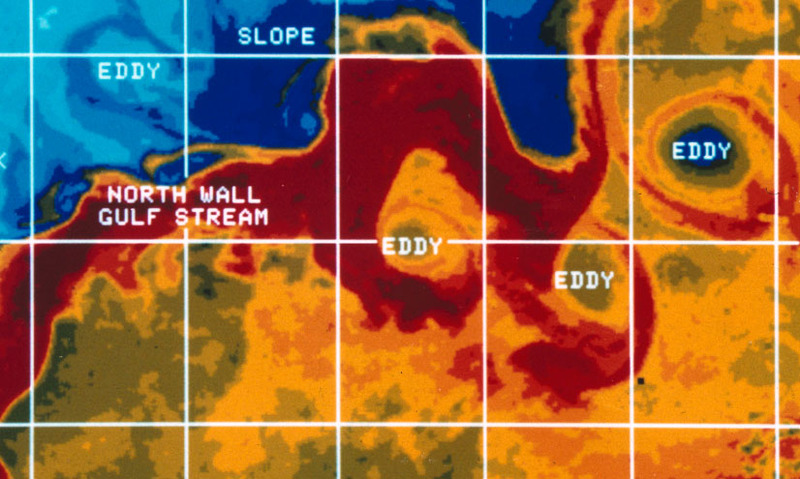 The Gulf Stream is the warm current that carries heat for the climate of Western Europe. Many currents in the oceans move water around the planet. But there's one vast, global current that controls our climate. The thermohaline, or great ocean conveyor. This isn't an ordinary current. It's not driven by winds or tides, and it travels deep along the ocean bed.